What do the elites do? There are several differences between the form of elite and non-elite runners. As most running fans know, the dominance of the African nations, particularly Kenyan long-distance runners is a fascinating topic. Elite Kenyans tend to land with flexed knees rather than straight legs. Their landing foot is normally closer to a position under the body’s centre of mass, instead of ahead of the hips and torso. Most importantly the running foot strike of Kenyan distance runners differs greatly. These runners tend to land on the mid-foot area, instead of sharply on the heel. We wrote about the Kenyan dominance in long-distance running back in April 2017 in a post called, Why do Kenyans dominate long distance running? In his book Running Science, author Owen Anderson states that experienced runners often tend to favour heel striking. However, motion analysis on Olympic Games competitors has suggested that medalists are more likely to use mid-foot strike. It’s important to remember the peak loading rates are much higher when runners land on their heels, compared with mid-foot landings. The peak loading rate is a key predictor of running injuries. Also, compared with heel striking, performance may be enhanced with mid-foot striking. Research has shown that ground contact time is shorter by about 17 milliseconds at a running velocity of around 5 to 5.5 metres per second. As a consequence, stride rate is also higher for mid-foot striking at any specific speed. Decreases in ground contact time and increases in stride rate have been linked with enhanced running economy and faster 5K performances. There are three different running foot strike patterns; heel strike, mid-foot strike and fore-foot strike. In this post we’re going to focus on the two most common strike patterns, heel striking and mid-foot striking. It only takes a few seconds to transform a heel strike to a mid-foot strike during drills. However, the actual transformation can take months. The reason for this long transformation period isn’t that it takes much time to learn how to hit the ground mid-footed. The problem is it’s wonderful in the long term, but not great in the short term. In the long term, it can improve performance, enhance economy and reduce the risk of injury. But in the short term it can produce physical problems if done too abruptly. When runners move along in a heel-striking mode, every bit of ground contact causes impact forces to pass through the heel and up the leg. The knees and hips are left to carry out a higher level of work to withstand, control and react to these rapidly applied forces. Additionally, the shin muscles become highly stressed. They control the ‘slap-down’ of the foot on the ground, which occurs immediately after a heel-strike and places strain on the muscles and tendons. The Achilles tendon and calf muscles are only put under moderate pressure. However, the force patterns change dramatically with mid-foot strikes. Every impact immediately distributes forces throughout the foot and ankle. As the runner is landing on the mid-foot, there’s no ‘slap-down’ action of the ankle and foot. Instead, the ankle begins to undergo dorsiflexion immediately after impact. The top of the foot moves closer to the shin instead of away from it. This places extra strain on the Achilles tendon and calf muscle complex. If you’re used to heel striking, this process will be new. The introduction of new forces when running can result in problems with the muscles and connective tissues. This is especially obvious when the forces are repeated 5,400 times per leg on an hour-long run. This does explain why traditional heel-strikers who wear a pair of minimal shoes (or become sudden converts to barefoot running) and go out for a 60-minute run, often wake up the following morning with tight calves. The problem here is that a change from traditional higher-heeled running shoes to minimal shoes with little heel elevation usually changes running form. It pushes the runner naturally toward mid-foot striking. The risk of this change from heel to mid-foot striking has been well documented. It was partially explained in the book, Born to Run when countless runners took to running barefoot. This resulted in an epidemic of Achilles tendonitis, calf pain, calf complex tightness and even stress and inflammation of the metatarsal bones. Runners concluded that barefoot running wasn’t the best idea. The actual difficulty was not with barefoot running, but that the transition from heel-striking to mid-foot running was too quick. Changes in form and alterations to your training should be slow and careful to reduce the risk of injuries. One criticism of mid-foot running is that it simply changes where the impact forces are felt in the leg. It shifts the area of potential injury from common heel-strike injuries, like heel, shin and knee to possible mid-foot injuries, like Achilles tendon and calf. These drills have been taken from Owen Anderson’s Running Form. They will help you make the transition from heel to mid-foot running. The first drills should be carried out barefooted in order to provide superior proprioception and a better feeling for mid-foot running. They’ll help you sustain this new running foot strike during your training and races, even when you’re wearing shoes. When performing these drills your knees should be soft and flexed. The first four phases should all be completed with a cadence of 180 steps per minute (or 190 if you’re an elite athlete). These drills should be done before the main portion of your overall workout. You should complete the drills about five times a week. Or, until you’re certain you can carry them out with mid-foot landings. Quick tip: as you’re jogging in place, make sure that the middle of your foot makes contact with the ground first. This should be followed shortly by your heel. Quick tip: As you’re jogging forward with ‘baby steps’, make sure that the middle of your foot makes contact with the ground first. This should be followed shortly by your heel. Phase Five should only be tackled if you can sustain mid-foot striking at the recommended pace. Quick tip: These form drills can be used as part of an effective warm up before training sessions or competition. If you use them before a workout, go straight into your training session after the drills have been conducted. Compared with heel striking, mid-foot striking reduces the rate at which impact forces travel up the leg. It, therefore, decreases your risk of injury. 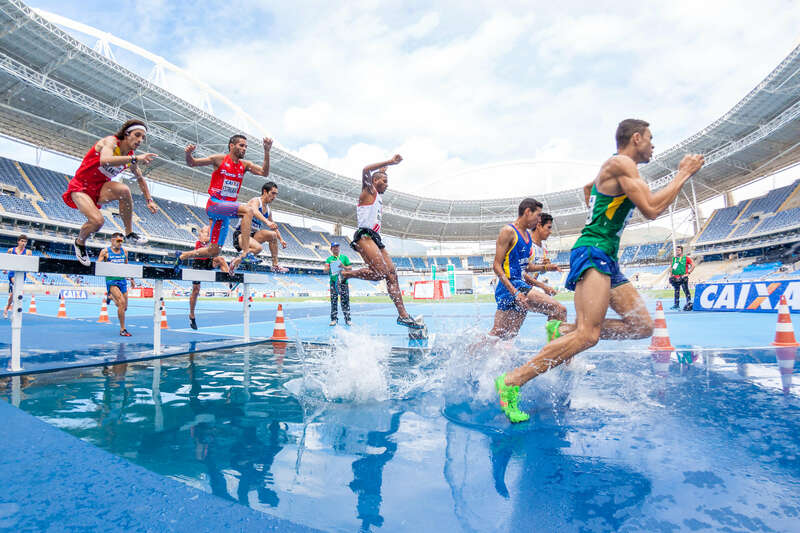 However, a shift from heel striking to mid-foot striking can actually increase the chance of injury if it’s not carried out carefully and gradually. A combination of the drills listed above and contrast running can gradually transform your running foot strike over time. Thank You Very, Very Much Hannah!! !..one of the very best written and informative on this now often questionable subject..sharing this with our rather large running club..I look forward to any future articles..as for ‘wasn’t blessed with the coordination to play most sports’ I believe, ‘However, the actual transformation can take months’ or time would have applied to you to do so..I witness people transform who are really dedicated to a valued truth..Love life and live well!!! Thanks for your kind words, glad to hear you liked the post! Hope it helps you with your running!